NEWARK — The green welcome sign hangs in the front door of the downtown branch of Hudson City Savings Bank, New Jersey’s largest savings bank. But for years, federal regulators said, its executives did what they could to keep certain customers out. They steered clear of black and Hispanic neighborhoods as they opened branches across New York and Connecticut, federal officials said. They focused on marketing mortgages in predominantly white sections of suburban New Jersey and Long Island, not here or in Bridgeport, Conn. The results were stark. In 2014, Hudson approved 1,886 mortgages in the market that includes New Jersey and sections of New York and Connecticut, federal mortgage data show. Only 25 of those loans went to black borrowers. Hudson, while denying wrongdoing, agreed last month to pay nearly $33 million to settle a lawsuit filed by the Consumer Financial Protection Bureau and the Justice Department. Federal officials said it was the largest settlement in the history of both departments for redlining, the practice in which banks choke off lending to minority communities. Outlawed decades ago, redlining has re-emerged as a serious concern among regulators as banks have sharply retreated from providing home loans to African-Americans in the wake of the financial crisis. Over just the past 12 months, federal, state and city officials have successfully required banks to expand minority lending programs and, in some instances, to pay penalties as part of redlining settlements in Buffalo; Milwaukee; Providence, R.I.; Rochester; and St. Louis. And more banks are facing scrutiny. The Justice Department now has more active redlining investigations underway than at any other time in the past seven years, officials said. “Redlining is not a vestige of the past,” Vanita Gupta, the principal deputy assistant attorney general of the Justice Department’s civil rights division, said last month in a conference call with reporters. The effect on minority communities can be profound. Homeownership is a cornerstone of economic mobility, and without a stable group of homeowners, neighborhoods can be left vulnerable to blight and disrepair. 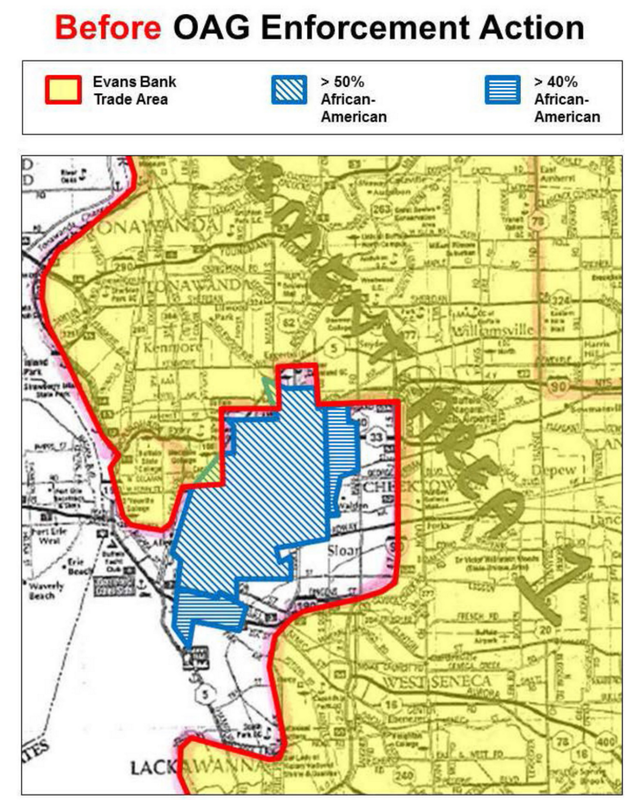 The recent cases illustrate how redlining has evolved. Bankers no longer talk openly about denying loans to black people. Instead, officials said, some banks have quietly institutionalized bias in their operations, deliberately placing branches, brokers and mortgage services outside minority communities, even as other banks find and serve borrowers in those neighborhoods. The intent of such management decisions is typically left unspoken, officials said. But in interviews with federal bank examiners, Hudson executives made their reluctance to venture into minority neighborhoods plain. It is “like a whole other world,” one lending executive told examiners from the Consumer Financial Protection Bureau, explaining why the bank failed to generate any mortgage applications from a minority neighborhood here. Fallout from the excesses of the subprime era in mortgage lending has, in some ways, set the stage for the discriminatory practices of today. As banks have tightened their credit lending standards to avoid risky loans, the percentage of blacks and Hispanics getting approved for mortgages has plunged. Grappling with foreclosures, job losses and battered credit scores, many minority borrowers have found it difficult to qualify for mortgages under the more stringent rules. Banks normally try to avoid borrowers who seem likely to default on their loans, but some stepped over the line, officials say, excluding entire communities and the creditworthy people who live in them. In 2014, black people held 5.2 percent of the nation’s home loans, compared with 8.7 percent in 2006, according to the Federal Reserve Bank. Hispanics have struggled to regain lost ground as well, accounting for 7.9 percent of home loans in 2014, compared with 11.7 percent in 2006. Federal and state officials said it was impossible to determine how widespread discriminatory lending had become. They believe a vast majority of banks are operating legally, but recent lawsuits have revealed striking disparities. In Missouri, where Eagle Bank settled a redlining lawsuit with the Justice Department last month, the bank’s competitors generated five times as many mortgage applications from predominantly black neighborhoods in the St. Louis area as Eagle did, Justice Department officials said. The bank, which said it disagreed with the government’s findings, promised to set aside $975,000 to provide services for black residents and businesses. And in Buffalo, Evans Bancorp settled a redlining lawsuit filed by Eric T. Schneiderman, the attorney general of New York, last month. The suit alleged that the bank focused its mortgage lending in communities that appeared on its “trade area” map, which excluded the predominantly black neighborhoods on the city’s East Side. Evans, which described the allegations as “unsubstantiated,” agreed to pay nearly $1 million to settle the suit. The problem, consumer advocates said, had been simmering for years. The issue is also achingly familiar. Until the 1960s, banks openly starved minority communities of home loans with the full backing of the federal government. For decades, the Federal Housing Administration relied on so-called residential security maps to help decide which mortgages it would insure. The maps ranked and color-coded neighborhoods in cities across the country according to their perceived investment risk. Affluent white neighborhoods that were “in demand” were typically shaded green. Black neighborhoods were shaded red and shut out of the conventional loan market. Here in Newark, for instance, every black neighborhood was deemed “hazardous” for investment in 1939, according to Kenneth T. Jackson, a historian at Columbia University. With conventional loans so difficult to secure, many black people found themselves sidelined from the homeownership boom after World War II. 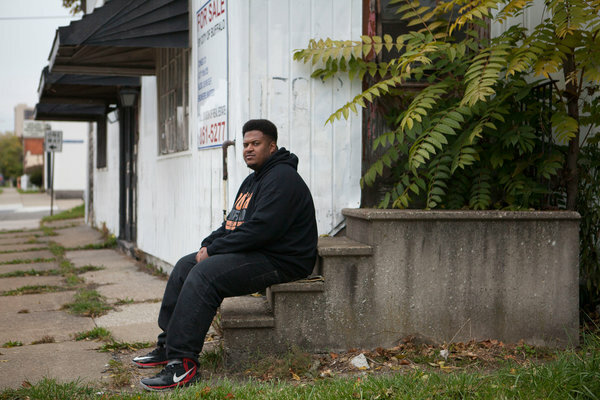 Others were forced to turn to an underground economy that offered overpriced, predatory loans. Even after the passage of laws that banned discriminatory lending in the late 1960s and ’70s, redlining persisted. Its modern-day form, though, is far less overt. Most of Hudson’s customers would have had no idea that the bank was excluding blacks and Hispanics, officials said. A spokeswoman for Hudson did not respond to several requests for comment. But in a statement, Denis J. Salamone, the chief executive, said the bank believed it was meeting its fair lending obligations by buying loans originating in minority communities on the secondary market, adding that “we do not agree with the D.O.J.’s and C.F.B.P.’s claims against the bank,” using the abbreviations for the federal agencies that sued his bank. Founded by immigrants in 1868, Hudson was a darling of Wall Street for a time in the 2000s. Forbes magazine called it the “best managed bank of 2007” for steering clear of the subprime loans that sank other financial institutions. Now the nation’s seventh-largest savings bank, it built its business on traditional mortgages and prided itself on its old-fashioned feel. 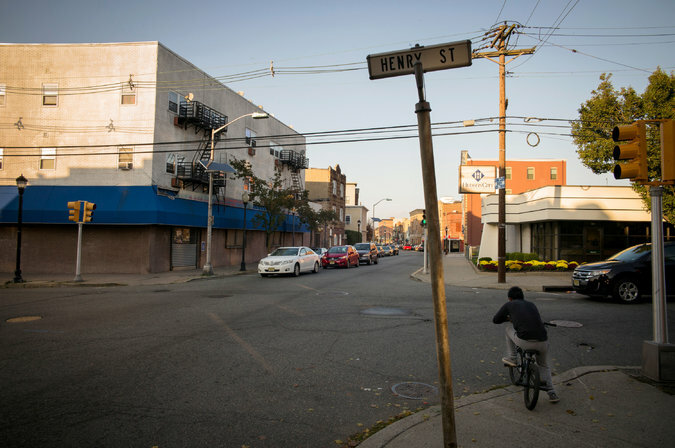 All the while, federal officials said, the bank was systematically avoiding minority communities as it expanded beyond its New Jersey roots into New York and Connecticut. Of the 54 branches that Hudson acquired or opened from 2004 to 2010, only three were in predominantly black or Hispanic neighborhoods, according to the lawsuit filed by the Consumer Financial Protection Bureau and the Justice Department. Predominantly black and Hispanic communities accounted for more than a third of its market in the region that included North Jersey and parts of New York, but the bank stationed only 12 of its 162 mortgage brokers in those communities. Last year, blacks accounted for just over 1 percent of Hudson’s mortgage approvals in the market that includes New Jersey and sections of New York and Connecticut; Hispanics accounted for 4 percent. The government’s analysis of the bank’s lending data shows that Hudson’s competitors generated nearly three times as many home loan applications from predominantly black and Hispanic communities as Hudson did in a region that includes New York City, Westchester County and North Jersey, and more than 10 times as many home loan applications from black and Hispanic communities in the market that includes Camden, N.J. 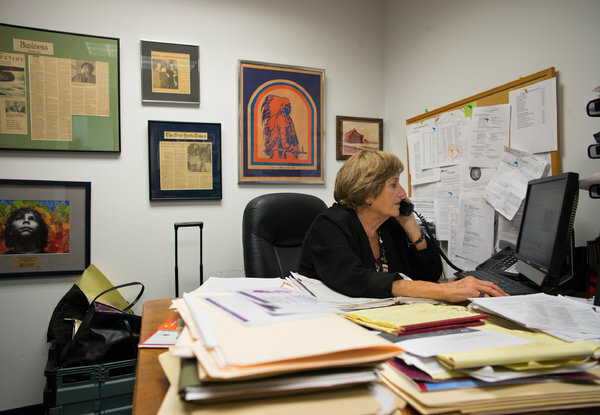 In 2012, Phyllis Salowe-Kaye, executive director of New Jersey Citizen Action, an advocacy group based in Newark, wrote to federal regulators to warn them about Hudson’s “alarming” track record of mortgage lending to minorities. That same year, the financial protection agency, which initiated the redlining investigation, recommended that Hudson monitor its top brokers for redlining. The bank, which is based in Paramus, N.J., took no action, federal officials said. 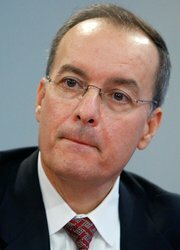 As part of the redlining settlement, Mr. Salamone, the bank’s current chief executive, has agreed to open two full-service branches in minority neighborhoods, to increase outreach to those neighborhoods, and to invest $25 million in a loan-subsidy fund to increase the amount of credit extended to black and Hispanic borrowers. Hudson, which is expected to merge in November with M&T Bank Corporation, the nation’s 25th-largest bank, also agreed to pay a $5.5 million penalty. M&T recently settled its own federal lawsuit relating to accusations that it steered black borrowers to higher-cost mortgages than their white counterparts, among other concerns. In his statement, Mr. Salamone said M&T had reviewed and consented to Hudson’s agreement with the federal government. “We agree, and have always believed, that there should be no discrimination based on race, national origin, gender or age in obtaining a loan,” he said. Can you relate an experience where you felt you were denied a mortgage because of your race? Or do you think that you’ve faced other forms of discriminatory mortgage lending, such as being charged more for a mortgage than applicants of other races or being steered toward minority neighborhoods? The New York Times would like to hear your story. Your name and comments will not appear. However, an editor or reporter may contact you to learn more about your experience for possible publication. City and state preferred, please. By submitting to us, you are promising that the content is original, doesn’t plagiarize from anyone or infringe a copyright or trademark, doesn’t violate anybody’s rights and isn’t libelous or otherwise unlawful or misleading. You are agreeing that we can use your submission in all manner and media of The New York Times and that we shall have the right to authorize third parties to do so. And you agree to the rules of our Member Agreement, found online at our website. Posted on November 2, 2015, in Postings. Bookmark the permalink. 1 Comment.